Overcome social anxiety in Rickmansworth - Cara Ostryn BSc. Six weeks is all it takes to overcome Social Anxiety and feel confident around others. 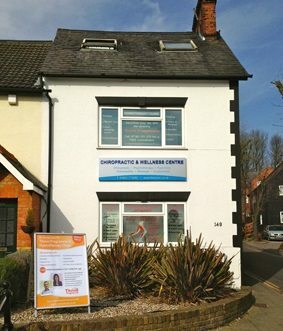 Based in Rickmansworth and welcoming enquiries from Watford, Northwood, Uxbridge and Ruislip. Social anxiety is a fear of any situation where the sufferer is likely to feel ‘on the spot’, embarassed, humiliated or judged – for example; dinner parties, public speaking, interviews or going on dates. It is a fear of uncomfortable, embarrassing or humiliating situations in the presence of other people and the fear of being judged that arises from that. This is also known as social anxiety, social anxiety disorder, or even just shyness. It is probably the most common phobia there is – and certainly one of the most common symptoms my clients consult me for. You might feel relieved to hear that almost everybody has it to some extent in certain situations. Social anxiety is the result of a set of negative beliefs that you have about yourself in social situations. You worry that you will act in a way that will be humiliating or embarrassing and will be harshly judged by others. If you are expecting or worrying about feeling shy/tongue-tied/boring etc in front of others, it’s easy to build up anxieties about these situations or people, so your fears become a self-fulfilling prophesy. We create what we imagine. Social anxiety usually starts in our younger years (although it often just called being ‘shy’) or can be triggered off by a particularly embarrassing event. Associated issues include sensitivity to criticism, negative self image, fear of rejection, difficulty in being assertive and feelings of inferiority. The social phobic worries continuously about how others ‘see’ them, and what others may think about them – it is not surprising then that the sufferer usually spends a lot of time creating the image they want others to see – or avoiding situations completely. Usually the social phobic is quite adept at concealing their anxiety from others, although there may be a difficulty in maintaining eye contact. I describe it like having a guard dog, sitting on your shoulder, carefully editing and analysing everything that you say and do in the presence of other people. Having social anxiety can be really quite tiring! The thrive programme – it is amazing. I was suffering increasing social anxiety and low self-esteem. I felt completely trapped and unable to change anything. I had even started to feel `scared’ of all sorts of things that had never before and was putting it down to just getting older. My friends and family would probably not have realized that I suffered from these feelings – which did descend at times into depression. it became clear that I had been beating myself up for years and suffering very unhelpful thinking styles. It has enabled me to take control of my mind and therefore actions. I now feel really happy and I feel as if I could do anything. The good news is that social anxiety can be easily overcome. I can teach you how to feel in control of your thoughts and feelings – no longer feeling powerless in situations where previously you felt judged or awkward in front of others. We would work on improving your self esteem and changing you beliefs about yourself in these situations. I will prove to you that no matter how long you’ve had your social anxiety or low self esteem, it can be hugely improved in even just a couple of weeks into the programme …. and it can stay that way! Click here for testimonials from previous clients who were able to easily overcome social anxiety.